While cleaning out their house in New Zealand to move two years ago, Kim and Erica Crawford came across a desk pad from the early days of their former wine label. On it they had mapped out their future: Grow the brand, sell it within nine years and then buy land. They had done just that--building a bestselling sauvignon blanc label that they sold for a small fortune, which allowed them to develop sizeable vineyards, land that they love. "We were very focused, between the two of us. We knew exactly where we were going," says Erica. The Crawfords are now almost a decade into their second act, running Loveblock Wines, their organics-driven estate amid the windswept hills of Marlborough in the northeastern tip of the South Island. It's been challenging, even with their experience and capital. Building a vineyard from scratch is expensive and time-consuming, farming is all about managing risk, and organics are not generally known as a moneymaker. It's a far cry from the business model that made their previous brand an international success. Back in 1996, when Kim and Erica started Kim Crawford Wines, they had plenty of vision but no money, so they built a "virtual winery" out of the back room of their Auckland home. It was an innovative approach at the time, with Kim--a well-known local winemaker--buying grapes from contract growers and making wine in leased facilities, allowing them to avoid huge outlays for land, vines and equipment. The label under Erica's management grew quickly and profitably. Sauvignon blanc, unlike other varietals that need to be aged in barrels, can be sold within a year of production. "It's a high-value product," says Kim, 57, with an almost "instantaneous return." Within seven years, Kim Crawford Wines was the country's tenth-largest winery in global sales. In 2003, the Crawfords sold the label--but not its physical assets, which by this point included a 45-hectare block--to Canada's Vincor International, which itself was acquired three years later by global drinks giant Constellation Brands. Between the sale price and a performance-based earn-out that saw Kim staying on at Constellation until 2007 and Erica until 2009, the Crawfords netted roughly $50 million. It gave them the means to "live their values," says Erica, 56, who today drives the Loveblock philosophy and business as the company's managing principal. She became interested in organics after a car accident in her early 30s led her to take stock of her health. Kim, who has been married to Erica for 27 years, tagged along, up for the challenge of using old-world methods to grow grapes and make wine. "Kim and Erica took a novel path, but it enabled them to fund their dream, and that's to have all the elements, the personality of the brand and control over the way the raw product, the grapes, are grown. That embodies a much stronger and compelling story [than their original label]," says viticulture consultant David Jordan. A ten-year noncompete clause with Constellation precluded the Crawfords from making or selling any wine, but not from growing grapes. They went shopping after their sale, upping their holdings to about 215 hectares, which included 160 hectares of undeveloped hillside and adjoining land in Marlborough's Awatere Valley that is now home to the Loveblock brand. "We couldn't afford to buy a developed vineyard," says Erica, with Kim, adding, "It wasn't realistic. You might want to buy a vineyard, but it's very difficult." Property values in Marlborough have surged in recent years, with wine companies and investors hustling to nail down grape supplies to meet demand. Sauvignon blanc wines make up more than 85% of New Zealand's total wine exports, which hit a record $1.2 billion in June. Its biggest overseas market is the U.S., which has developed a particular liking for the crisp, clean taste of Marlborough sauvignons. With fewer vineyards hitting the market and a dwindling supply of land suitable for development, vineyard values in Marlborough have risen sharply over the past year, fetching between $88,000 and $220,000 per planted hectare depending on location, according to Tim Gifford at Colliers International. Land in smaller and cooler Awatere Valley is cheaper. Converting the hillside property into vineyard land hasn't been easy. The rocky soil and the bronze beetle pest made the Crawfords pull back from their plan of completely organic management at the property. Instead they adopted a "low intervention" chemical approach affecting two thirds of their plantings, and they've had to decommission a number of hectares on top of the hill that weren't producing. Yield is king in the wine business, both in terms of growing the grapes and the volume of wine produced, and so any yield loss because of an organic strategy is really challenging, notes Jordan.
" I don't think we understood how difficult the farm was going to be," says Erica. "But we now have infrastructure and know what to plant." So far the Crawfords have put around $8 million into Loveblock, and despite the slow return on investment, the label has grown enough to reach a tipping point. 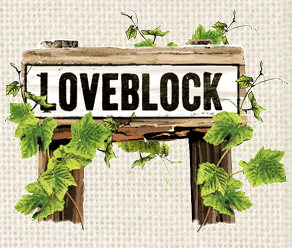 Their estate produces close to 27,000 cases of Loveblock wine annually--the company expects to post $3.7 million in revenue in the year ending in June--and is on track to double that within the next five years, with most of the production for export. They see a larger organics business developing from the farm, including sales of grass-fed beef from their herd of Angus cattle. "It's good to break even and to be a base for the brand," says Erica. While Kim and Erica use only their own grapes to make Loveblock wine, they also sell their grapes to others, and Kim runs a separate bulk-wine business called Zorro Wines. With more than 90 hectares of their land holdings planted, the Crawfords now number among the top 10% of the country's largest vineyard owners. They say they weren't ever tempted to return to virtual winemaking with Loveblock; blending grapes from a variety of suppliers is now commonplace among brands. "That model is incredibly profitable," says Erica, "but what will your point of difference be? People are looking for provenance in brands. They want to know where it's grown, how it's grown, what has gone into it. And it's those under 30 who are particularly interested in that." Expanding the estate is all about the kids. "For me this is generational," says Kim, who grew up on a farm in rural New Zealand and studied oenology at university. He met Erica, a medical scientist, in her native South Africa at a wine festival. Their 23-year-old son, Rory, is an aspiring winemaker who, they insisted, must ply his trade outside the family business until he is 30; daughter Pia, 22, recently graduated from university with a science degree. Kim says the traditional taste of the Marlborough sauvignon blanc is different when it has an organics platform. "The way I explain it is that we've developed from our teenage years and we're now middle-aged, so we're so much more. We're not throwing our hormones and testosterone out there anymore. We're quite restrained but hopefully a bit more complex." Since taking over Kim Crawford Wines in 2006, New York-based Constellation Brands has built the label into a powerhouse, especially in the U.S. The label posted $229 million in retail sales in the U.S. last year, making it the top-?selling New Zealand wine brand there, according to U.S. market-research firm Impact Databank, and the top-selling sauvignon blanc. Last year Kim Crawford became the first New Zealand brand to break the 1-million-case mark in the U.S., growing 20% from a year earlier to 1.2 million cases. That represents 25% of the New Zealand wine category. Kim Crawford is part of a stable of New Zealand labels that Constellation--the largest exporter of New Zealand wines--owns and exports to 75 countries. --J.S.W.